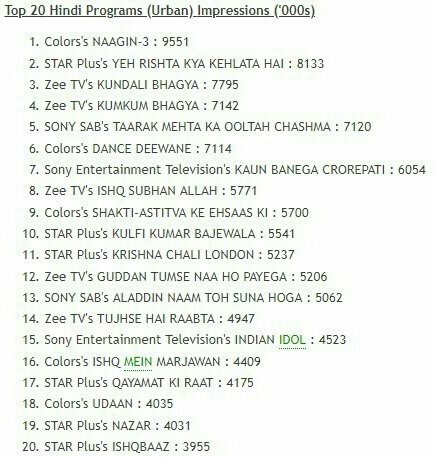 Naagin is on another level to all of these series. As expected. Hey Amrutha,can you pls post the link of Top 20 shows.